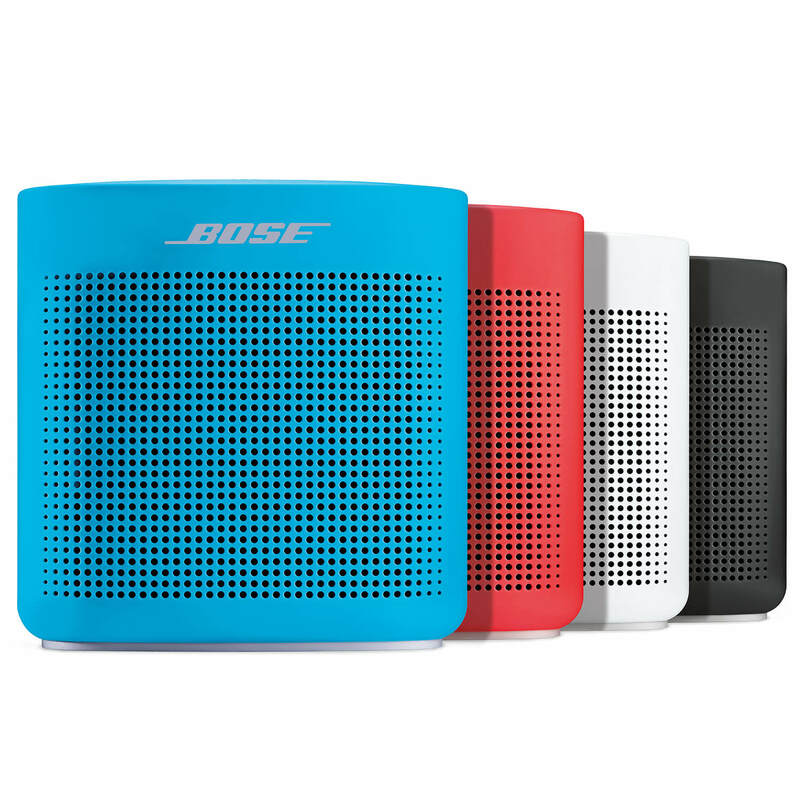 The SoundLink Color Bluetooth speaker II was engineered to deliver bold sound wherever life takes you. 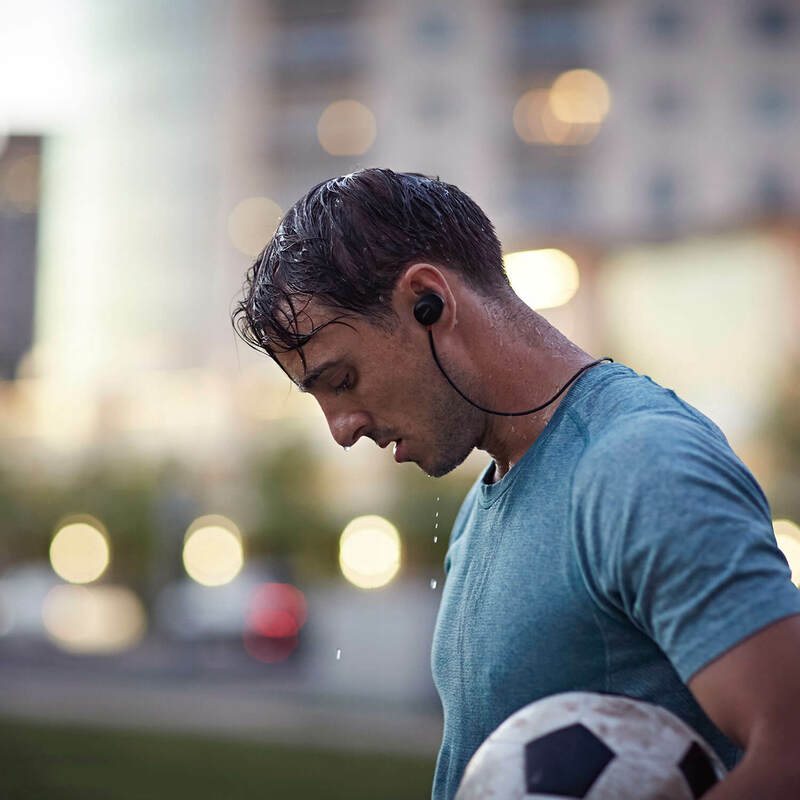 From the pool to the park to the patio, its rugged, water resistant design lets you enjoy the music you love in more places. Voice prompts make Bluetooth pairing easy. And up to 8 hours of listening per battery charge lets you keep your playlists playing. 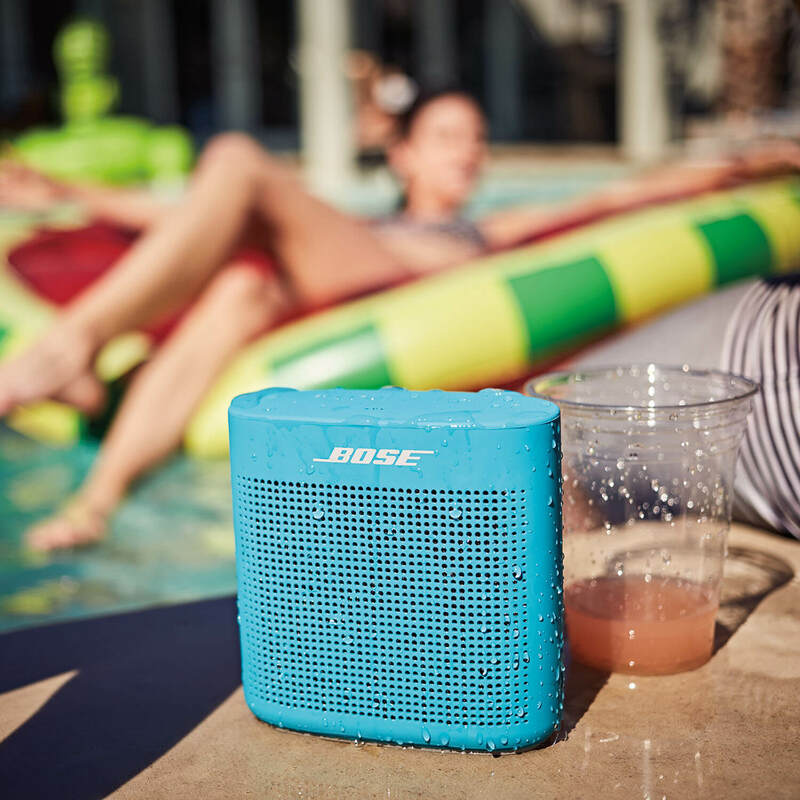 From the pool to the park to the patio, the SoundLink Color Bluetooth speaker II is your go-to companion for life’s great adventures. 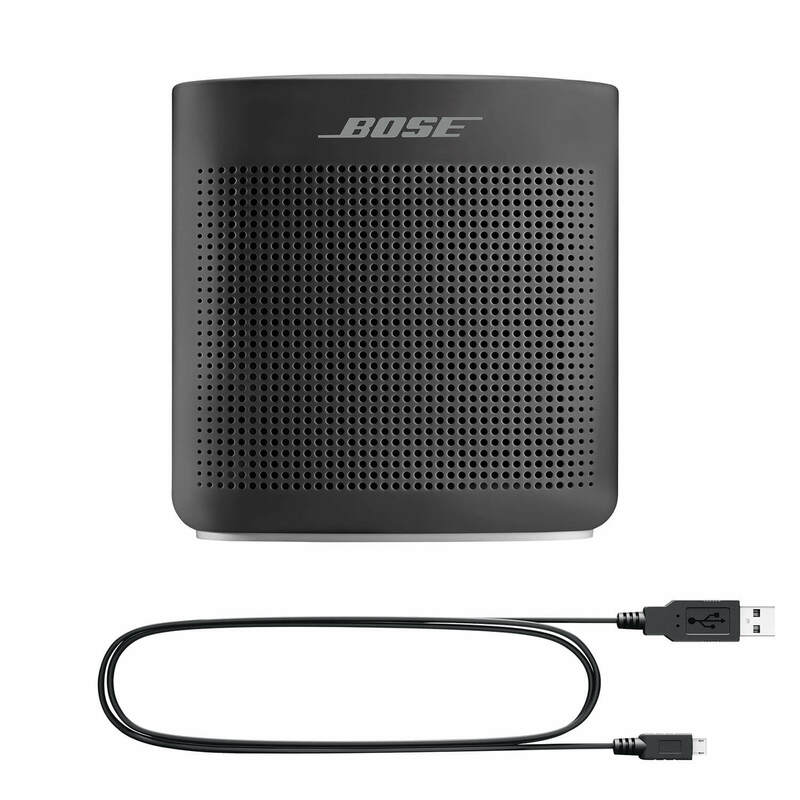 Innovative Bose technology packs big sound into a small, water-resistant speaker that’s tough enough to take wherever your day takes you. It’s rugged, with a soft-touch silicone exterior that makes it easy to pick up and go. 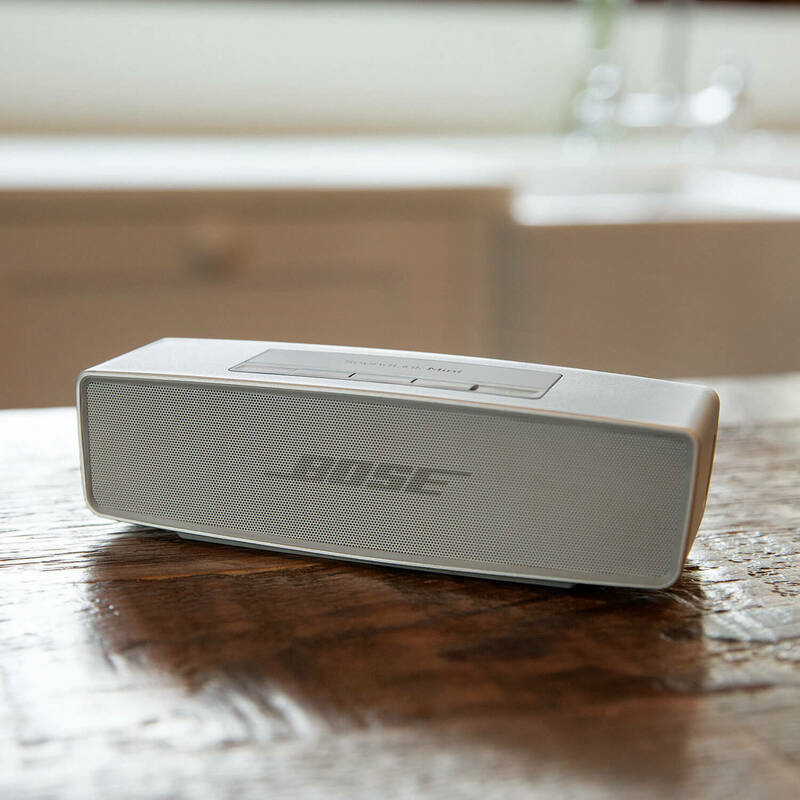 And it’s just as easy to use—with voice prompts that talk you through Bluetooth pairing. Want to keep your playlists playing all through the night? You’re covered with up to 8 hours of listening per battery charge. There’s even a built-in speakerphone so you can take calls from friends. Download the Bose Connect app to manage your paired devices, unlock features and access future updates. Available in Blue, Red, Black or White. 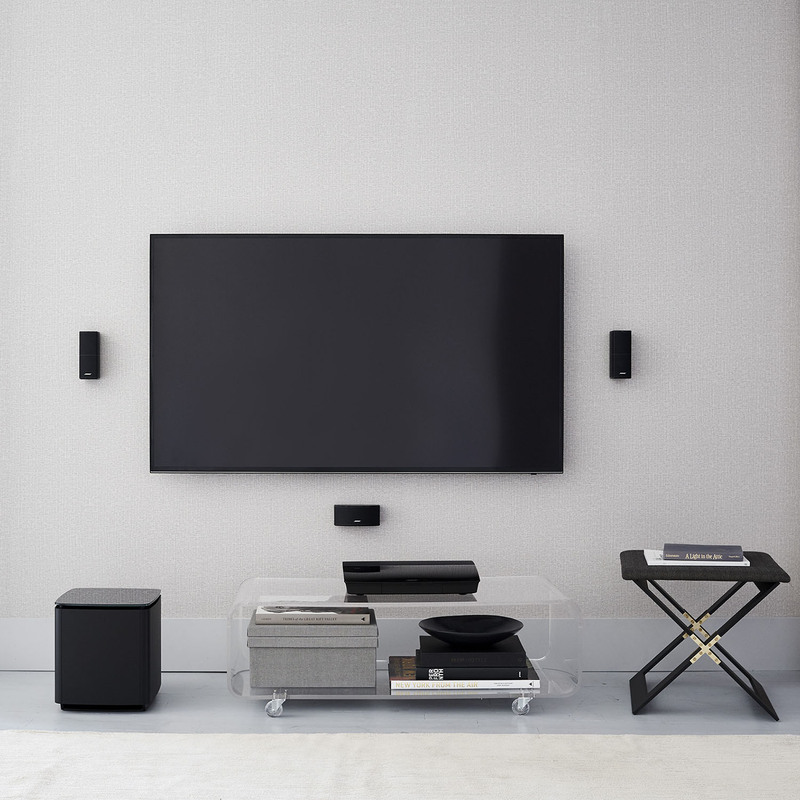 Engineered to deliver bold sound wherever life takes you. 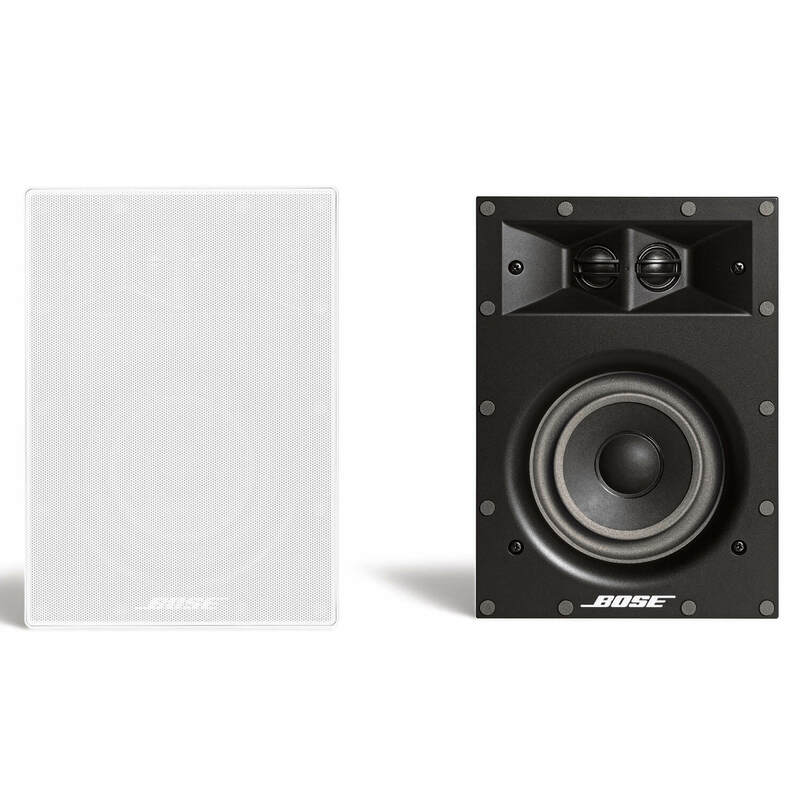 Innovative Bose technology packs big sound into a small, water-resistant speaker. Rugged, with a soft-touch silicone exterior that makes it easy to pick up and go. Voice prompts talk you through Bluetooth pairing so it’s easier than ever. 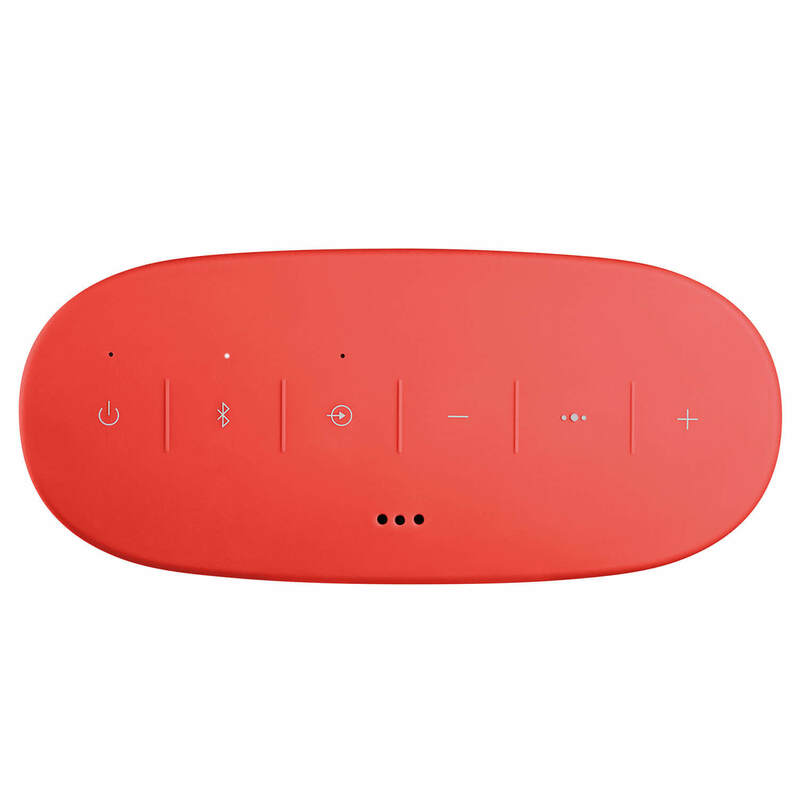 Lithium-ion battery lets you enjoy up to 8 hours of play time. 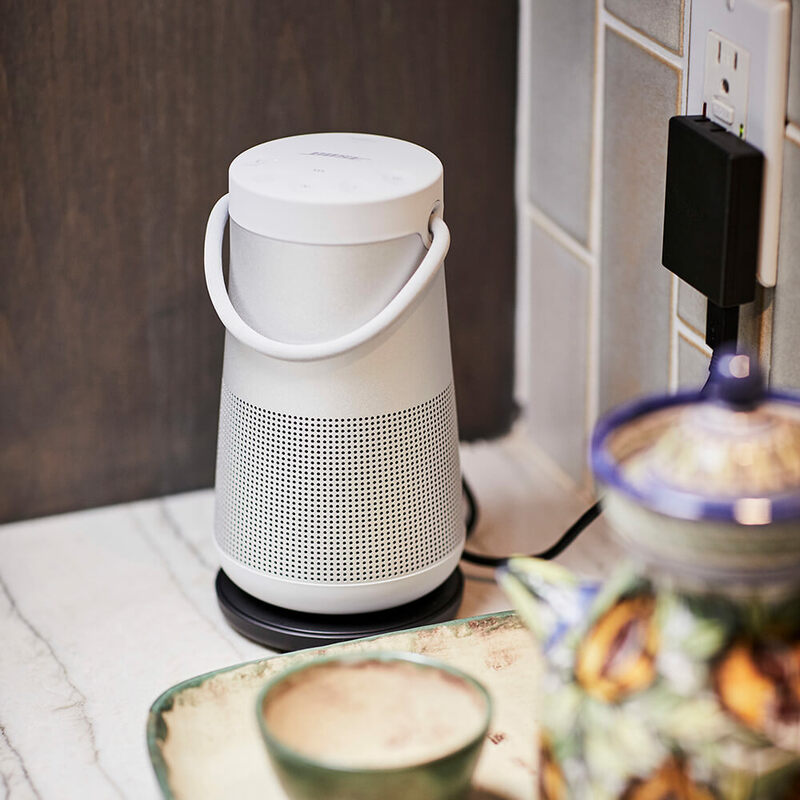 The Bose Connect app helps you easily manage Bluetooth connections, unlock features and access future updates. 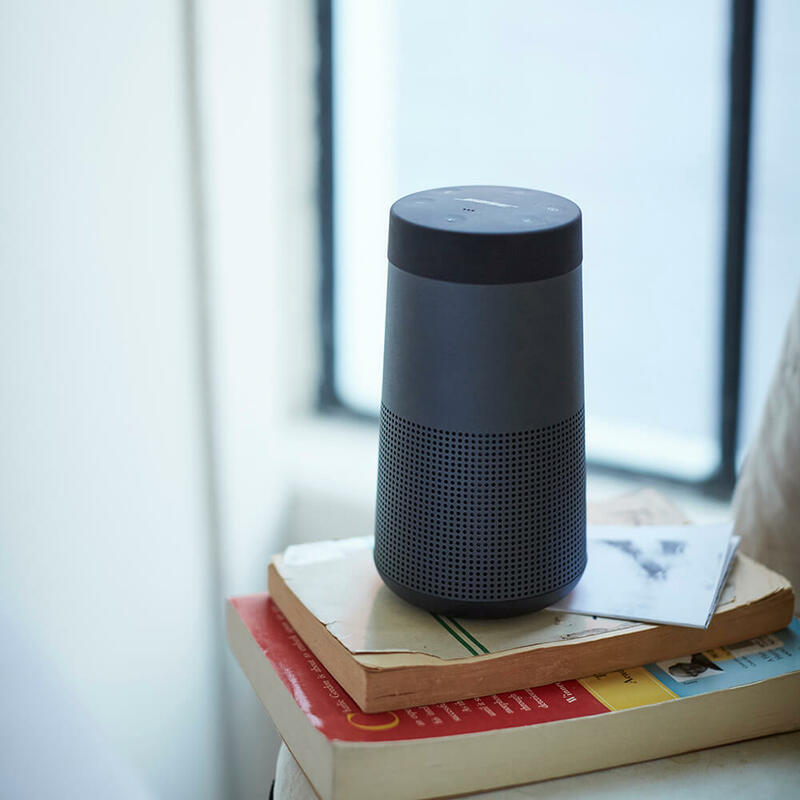 Built-in microphone for taking calls and accessing Siri or Google Now™ from your speaker. Auxiliary input so you can connect to other audio sources. Universal Micro-B USB port for easy charging. Aquatic Blue, Coral Red, Soft Black or Polar White. Siri is a trademark of Apple Inc., registered in the U.S. and other countries. 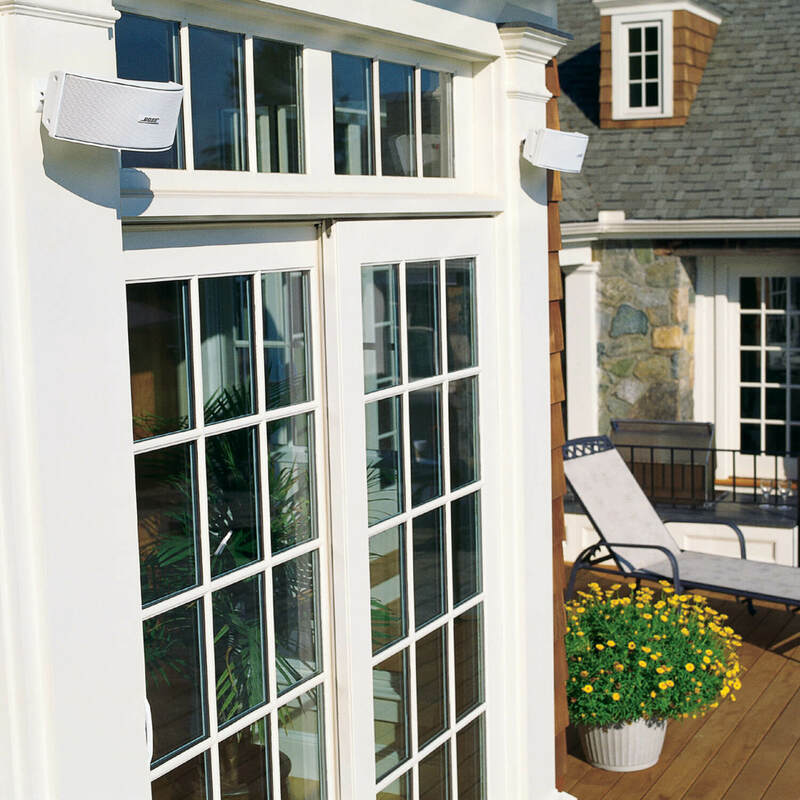 The Bluetooth® word mark is a registered trademark owned by Bluetooth SIG, Inc. and any use of such mark by Bose Corporation is under license. Google Now is a trademark of Google, Inc.